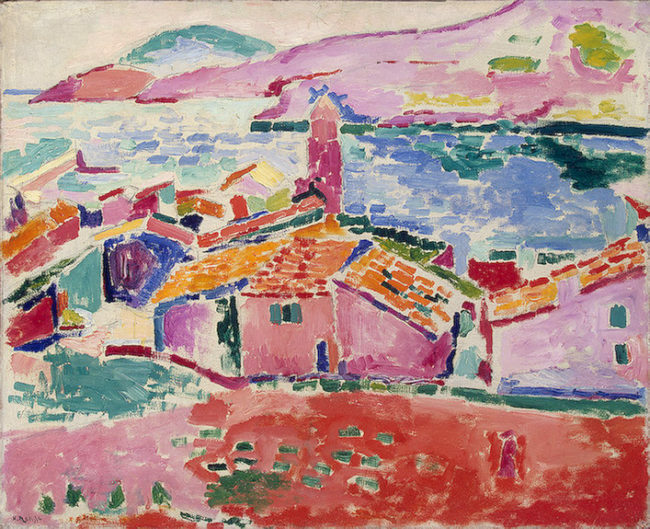 Before Matisse there was Monet who began to question descriptive colours. Monet was fascinated by the ever-changing shimmer of light on water and used colour theory to recreate the mobile and shifting effects of what he saw. 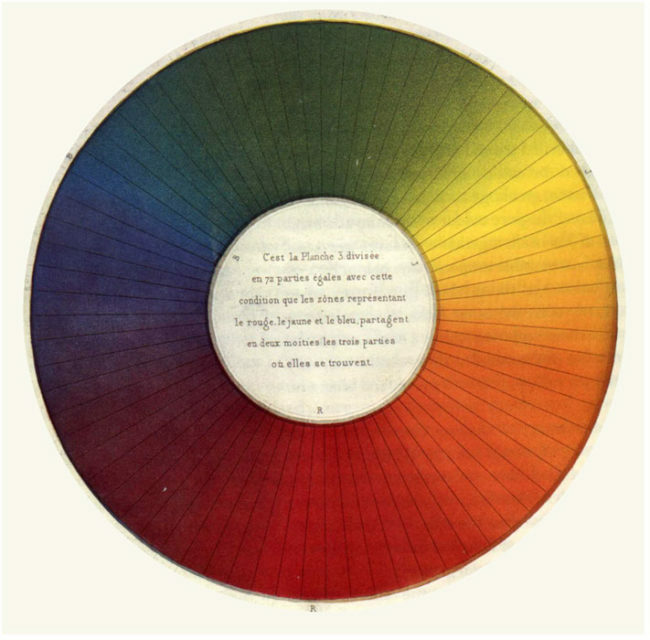 He was influenced by a French chemist called Michel-Eugène Chevreul who altered understanding and use of colour in the 19th C. When working as director of dyeing at a tapestry workshop near Paris, Chevreul realised that colours appear brighter or duller depending on the colours they are placed next to. To show how colours affect and modify each other the created a colour wheel which shows the three primary colours (red, yellow and blue) and various versions of secondary colours which are made by mixing two primaries. Chevreul’s theories underpinned the Impressionists’ use of colour in the late 19th Century. Here Monet uses Chevreul’s discoveries. While colours that are close together on the wheel harmonise with each other when placed side by side in a painting, complementaries are energised and made visually demanding and vibrant through strategic pairing. 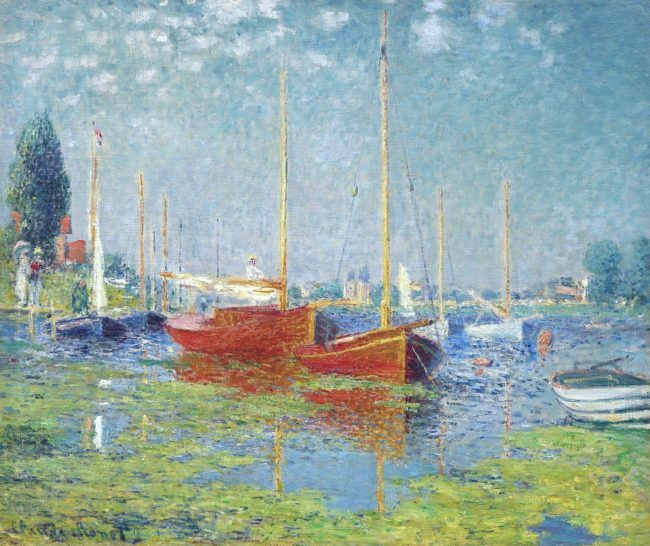 In this scene orange-red boats and their reflections contrast with the bright green weeds. Likewise, the yellow highlights of the masts contrast with the complementary violet shadows. The Impressionists and many modern artists exploited the by-then-known visual impact of opposite colours, but painters had instinctively juxtaposed complementaries for centuries before the theory was made conscious. 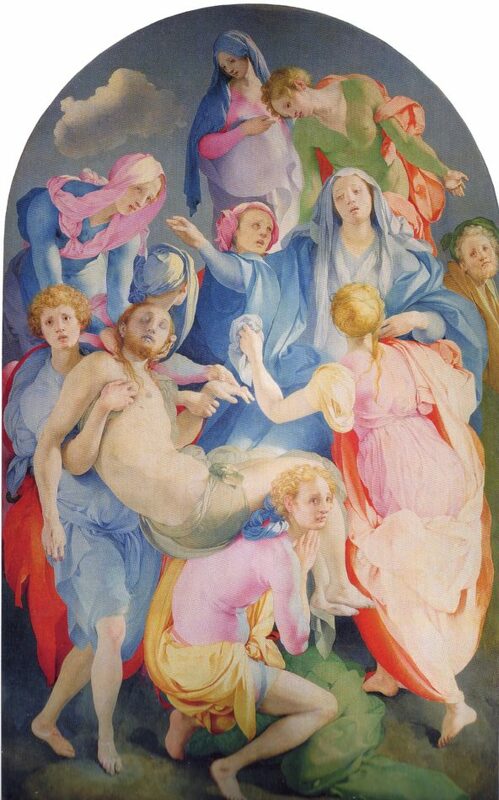 See for example the Italian Mannerist painter Pontormo’s 1525 Deposition: his eye-catching high-key colour palette also (like Monet’s) pairs orange with green and yellow with violet. 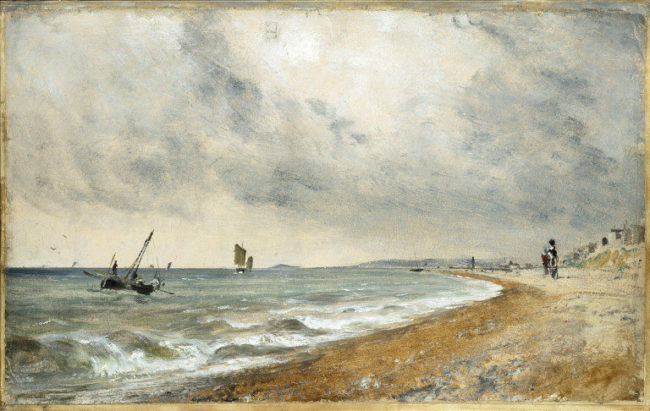 and artists can apply this principle by using faint blues and greys to give depth to landscapes. 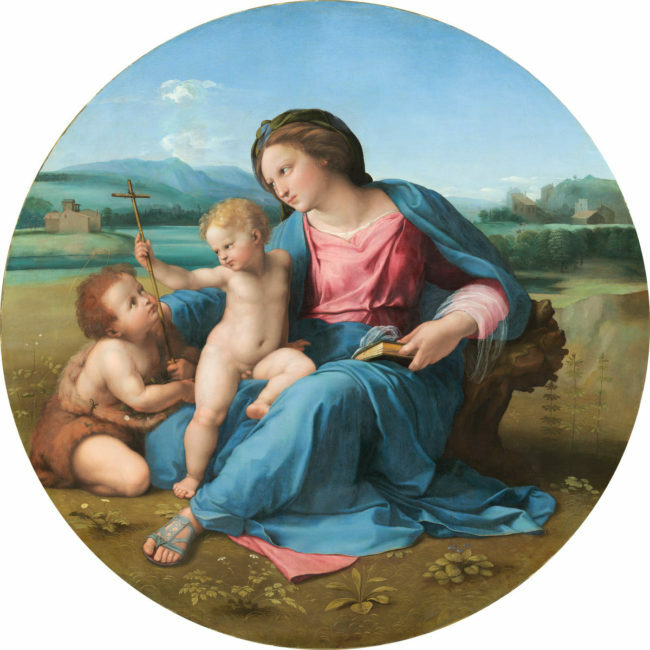 This is how Raphael is able to house his figures in a convincingly reaching countryside in his 1511 Alba Madonna. We call this technique aerial or atmospheric perspective. Aerial perspective also works to imply distance in a more confined spaced. Here French NeoImpressionist painter Paul Cézanne makes the fruit stand out by using warm colours that instantly catch the eye. 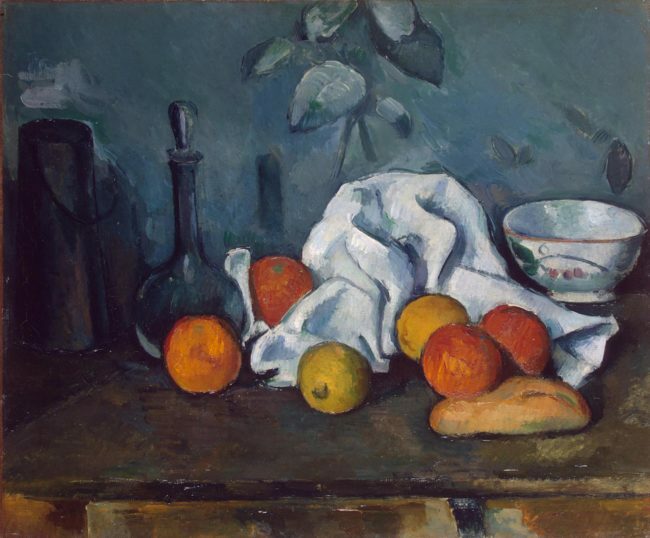 Visually, he pushes the cloth and bowls in the background away by making them bluish, to accentuate their distance from the warm fruits in the foreground. 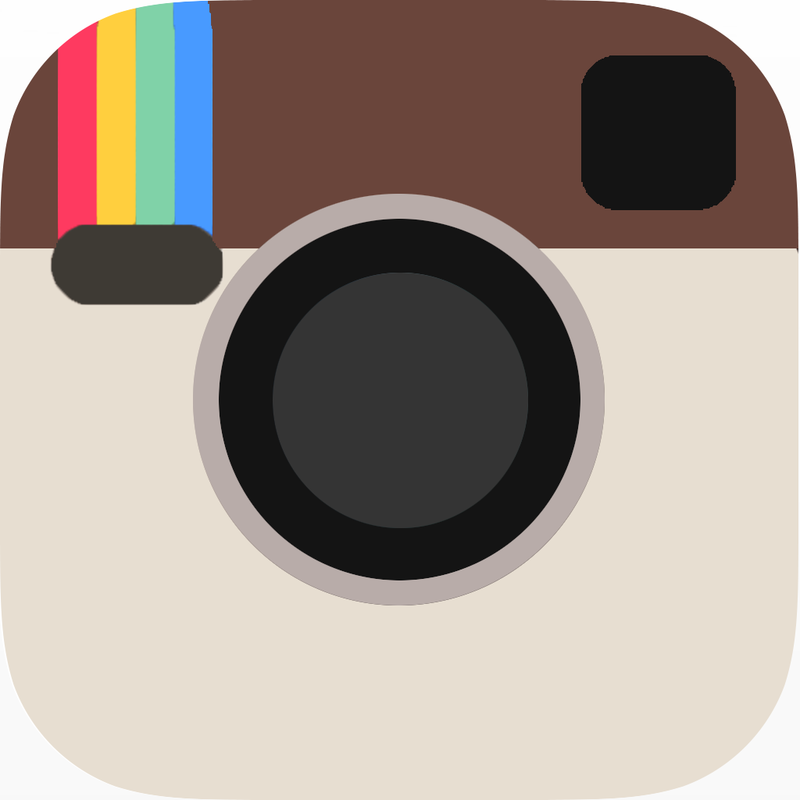 Colour can also be used to express or engender emotion. 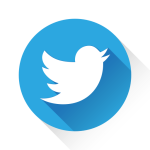 Expressions such as “feeling blue” and “seeing red” have come about because colour has an emotional effect independent of its subject matter. The Russian painter Wassily Kandinsky (1866 – 1944) was one of the most significant figures in the development of abstract art. He thought that artists should use form and colour to express emotion and arouse feelings in the viewer. 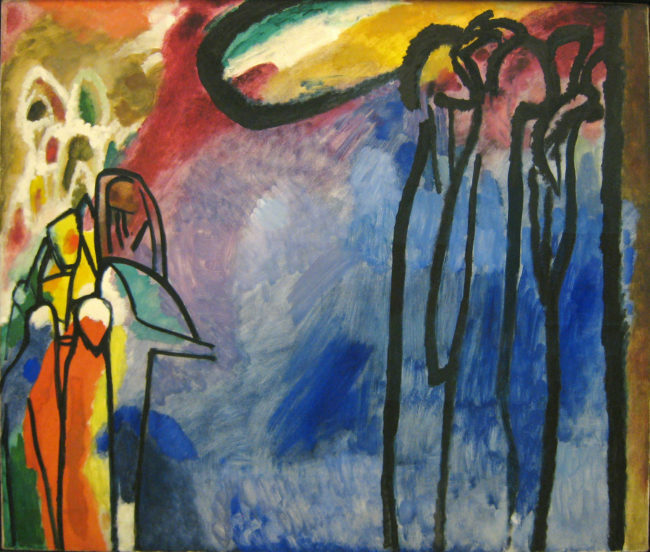 In Improvisation 19 from 1911, Kandinsky divides the composition so that the left side relates to wordly existence and the right to the spiritual. The right side is dominated by a “heavenly” and “restful” blue intended to awaken feelings of peace and spirituality. It is not just bright primaries and secondaries that create a mood; intermediary or tertiary colours such as brown mixed from primary and secondary colours also affect the viewer but have a more subtle effect. 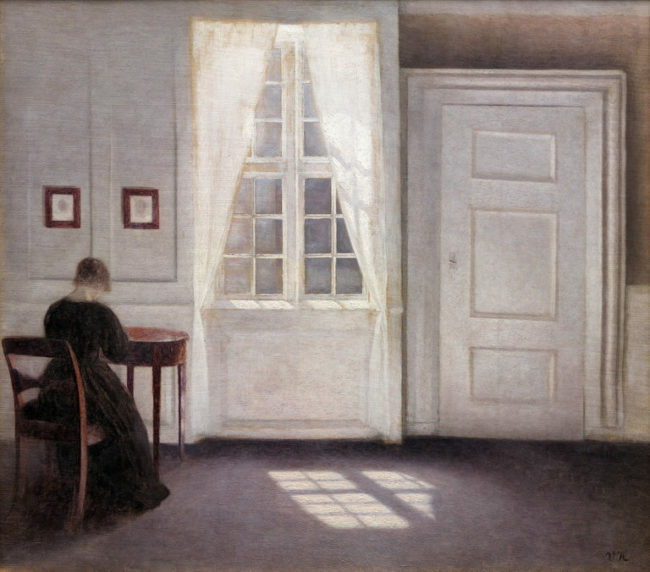 The muted monochromatic palette limited to tones of brown, with contrast of black and white contributes to the stillness and serenity of this domestic scene from c.1900 by the Danish painter Vilhelm Hammershoi.